Yes, your team is tense. Downsize the anxiety with these quick fixes that are easy to implement. When it comes to stress, there’s probably no greater trigger than what happens at work. And while some jobs are more stressful than others, The American Institute of Stress says there are common pain points that many workers share. The biggest is workload (46%), followed by people issues (28%), work/life balance (20%) and finally, lack of job security (6%). As a higher-up, you have a big-picture view of things that your employees aren’t always privy to. And you’re making choices based on that perspective—and potentially not explaining them well. Want to see an anxious employee? Have them do their job for months without having any idea if they’re doing it right. That means more than just an annual performance review. Let employees know if they’re doing what you expect, as regularly as you can. Even if you’re just offering quarterly feedback, it will help your workers feel confident that they’re headed in the right direction. 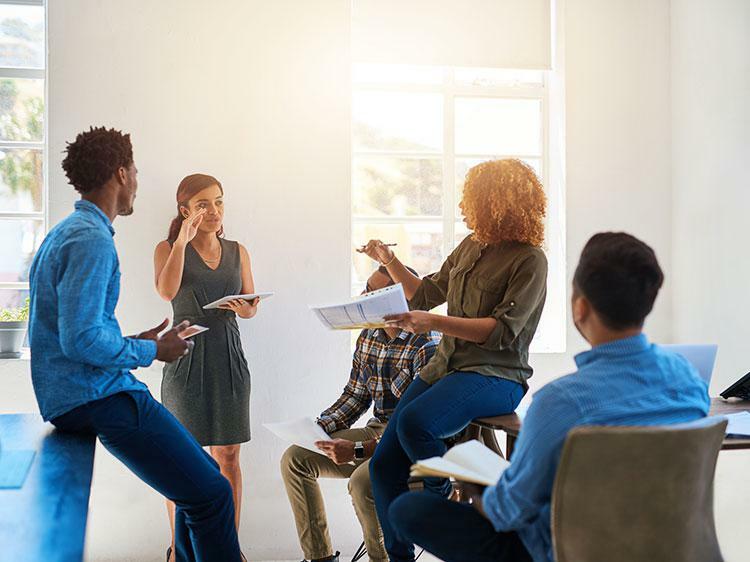 Many companies hire their workforce strictly based on their talents without considering whether candidates will fit into the corporate and team cultures. Some leaders get too deep in the details around how the actual work gets implemented, but implementation belongs to the employee. That doesn’t mean you should disappear, necessarily. Instead, provide accessible and regular oversight for the work to be produced—but don’t produce it yourself. Some executives create stress for their teams by enforcing unreasonable expectations on performance. They don’t push back on heavy orders from higher-ups or they create those orders themselves, without checking in with their workers. In the same way that upper-level execs should be cheerleaders for their team when it comes to promotions, they should also be shielding them during challenging times. A boss who’s always trying to improve his or her managerial skills is the kind that workers will respect—and want to emulate. Stay abreast of management trends so you can continue to bring out the best in your team. You can also join Monster, and receive career advice like this via email, the kind of expert advice can use to build great teams, or to accelerate your own career.